Recently I came across this issue where some of the end users were getting an error message when they tried to open an Excel file in SharePoint in the browser. 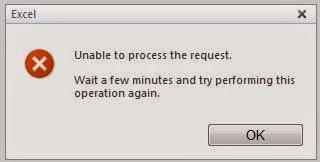 The Excel Services Application server computer is in a non-valid state and may need to be restarted. Most of the online articles were asking me to restart the Central Administration server.I did not want to do that and found a different fix. 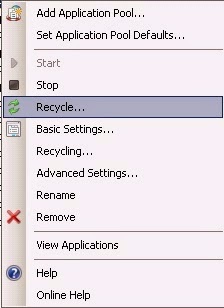 Identify the application pool running the Excel Services service application (from IIS) and Recycle it. 2) Under the Sites click on SharePoint Web Services. This will list down the Services in SharePoint. 4) On finding ExcelService.asmx -> Right click that web service -> Manage Application -> Advanced Settings. 5) Identify the Application Pool (make a note of this). 6) Now in IIS –> Application Pools –> choose the Application Pool you noted down in previous step -> Recycle (recycle the application pool).